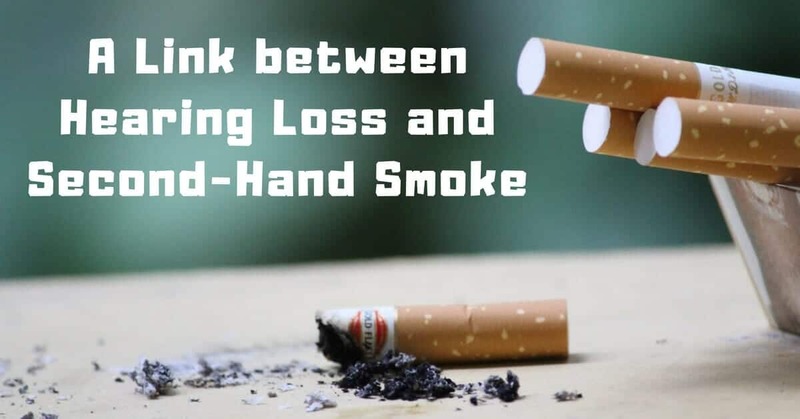 If giving up smoking to avoid the risk of harming yourself isn’t enough of an incentive, you might be prompted to quit based upon the harmful effects on other. Beyond harming your own body and the respiratory systems of those around you, a new study from researchers at Kyoto University reports that tobacco smoke exposure in young children increases risks for hearing loss. A smoking habit generally increases the odds of hearing loss as much as 1.69 more than non-smokers. This is in addition to the known adverse side effects it can have on an individual’s respiratory system, increasing the risk of lung cancer tremendously. In fact, cigarette smoking is the number one risk factor for lung cancer, linked directly to an overwhelming majority of cases. But if that’s not reason enough to extinguish this habit, consider its impact on those you love. According to the Centers for Disease Control and Prevention (CDC), second-hand smoke can lead to heart disease and cancer deaths. And now, add increased risk of hearing loss to that unfortunate equation. The cause of the link between smoking and hearing loss are not well known. However, it might be attributed to the sheer number of harmful chemicals in cigarette smoke. The formaldehyde, benzene, arsenic, vinyl chloride, ammonia, and hydrogen cyanide may do damage as far reaching as the sensitive cells located in the inner ear that are essential in the sound receiving process. What’s more, nicotine and carbon monoxide cause oxygen levels to decrease and constrict blood vessels throughout the entire body, including those precious inner ear cells. Children exposed to second-hand smoke may have even more at stake. The auditory nerve, which receives the sound information gained by the cells of the inner ear and transmits it to the brain’s hearing centers, is not fully developed until late adolescence. The exposure to second-hand smoke may inhibit development, as teens exposed to cigarette smoke are two to three times as likely to develop hearing loss compared to those with minimal or without exposure. Whatever the cause of increased risk of hearing loss, the data continues to mount in support of a strong link between it and second-hand smoke. The study out of Kyoto University and published in the journal of Paediatric and Perinatal Epidemiology specifically examined 50,734 children’s hearing born between 2004 and 2010. Using a whispered voice test as the means for evaluation, it was concluded that children with mother who smoked had a 26% increased risk of hearing loss. Of those children, those who were exposed to smoke between birth and four months had a risk factor for hearing loss jump to a whopping 30%. The most vulnerable population is those whose mother smoked during pregnancy. These children had an alarmingly high risk of hearing loss, at almost 70% more likely to develop hearing loss than children who were not at all exposed to tobacco smoke. The detrimental effects of second-hand smoke go beyond exposure during childhood. Non-smokers who simply live with a smoker are 1.94 times more likely to experience hearing problems than those who live with another non-smoker. Hearing loss of this type is irreversible and can have negative emotional and mental ramifications that go beyond the physical loss of hearing. If you’re swayed to quit because doing damage to your own health is one thing, but putting those you love at risk is quite another altogether, know that there are resources out there to help you choose a healthier lifestyle. Smokefree.gov is a comprehensive platform that covers quitting smoking from start to finish. They can take you from just thinking about quitting to plotting your strategy and all the way to the finish line. You can even sign up to receive supportive text messages to provide the emotional support needed for such a tough endeavor! If you or a loved one already suspects hearing loss as a result of second-hand smoke exposure or otherwise, the best next step to take is to schedule a hearing test with us at Hearing Group. It’s quick and painless, and once our team has a certain diagnosis, you can begin to explore next steps in hearing loss treatment to get you back to living your healthiest and most vibrant life.